This week, we learned of the death of Anton Yelchin, who was killed in a tragic automobile accident. At just 27 years old, Yelchin was only cracking the surface of his movie-star career; the fact that he was able to rack up a veritable goldmine of memorable performance in a wide variety of films is a resounding testament to his awe-inspiring talent. We will never know what kind of future roles Anton would have played had he lived to see his thirties, forties, and beyond. All we have is what he left us, a tremendous body of work, which will continue to grow, even in death. Yelchin's first posthumous role will be in July's Star Trek Beyond, after which he will be seen in Rememory, opposite Game of Thrones' Peter Dinklage. Yelchin also provided the voice for the lead character in Guillermo Del Toro's family-friendly Netflix original series, Trollhunters, which will also feature the voices of Kelsey Grammer and Ron Perlman. The animated adventure series is set to debut on the streaming service in December. In honor of his life and career, let's take a look at some of Anton Yelchin's most noteworthy roles, in chronological order. One of Yelchin's earliest roles was in the often-overlooked Stephen King adaptation, Hearts in Atlantis way back in 2001. This isn't one of those spine-tingling Stephen King horror adaptations, like Cujo or Carrie; no, Hearts in Atlantis is very much in the vein of the lesser-known, heartfelt dramas which King also wrote, such as The Green Mile or The Shawshank Redemption. In Hearts in Atlantis, Yelchin plays a young boy (played as an adult by David Morse) who befriends a man (Anthony Hopkins) with special powers. The film is beautifully shot, if too overly-saccharine for some audiences. The movie failed to make back its budget at the box office and is mostly ignored work in the pantheon of adaptations of King's work, which is a shame, since Yelchin, even at just 12 years old, is afforded many opportunities to showcase his palpable dramatic prowess. Fun Fact: the film, Hearts in Atlantis, is not based on the short story of the same name, which appears in an anthology entitled Hearts of Atlantis. It is actually based on the story, Low Men in Yellow Coats, which appears elsewhere in the Stephen King book of short stories. When he was still just a boy, young Anton Yelchin played minor roles in a variety of television shows, from the legendary crime drama NYPD Blue, to the post-CSI procedural Without a Trace, and legal drama The Practice, among several others. 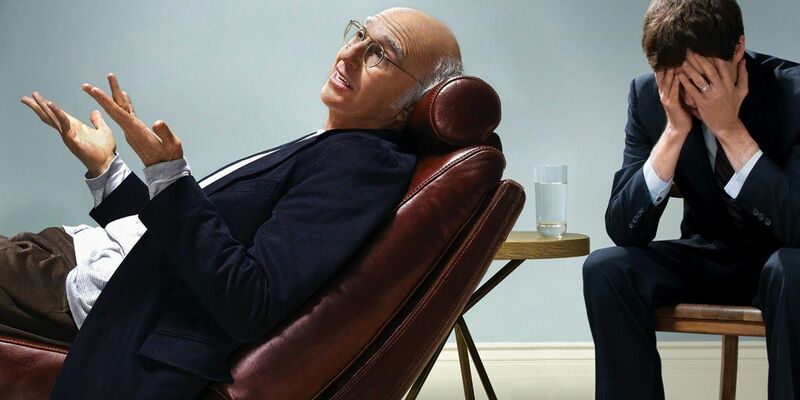 However, our favorite television guest spot from the one-day A-lister came from his small role in a 2004 episode of Larry David's outrageous sitcom, Curb Your Enthusiasm. In Season 4's The Blind Date, Yelchin plays a young boy, Stewart, who impresses David and his wife with a magic trick but then refuses to divulge his "magician's secret." Naturally, David keeps on trying to push the issue, to no effect, turning a cute magic trick into a hilariously tense situation. In classic Curb style, Yelchin's scenes are mostly incidental to the rest of the episode, but Anton is memorable for making Stewart the sweetest little brat in the history of the show. Huff is a little-remembered television series which aired for two seasons on Showtime, where it earned strong reviews, but was unable to attract a strong audience outside of Hank Azaria fanatics, and was quietly cancelled. Azaria plays a psychiatrist who goes through a mid-life crisis after a teenage client kills himself at his office. The ensemble cast included Oliver Platt as the tacky-yet-resourceful best friend, Blythe Danner as Huffstodt's complicated mother, Paget Brewster as his loving wife, and Anton Yelchin as his son, Byrd. Byrd was a notable character in that he was a perfectly normal kid, if a little on the diminutive side. He got good grades in school, and generally was not involved in his family's psychoanalytical antics. 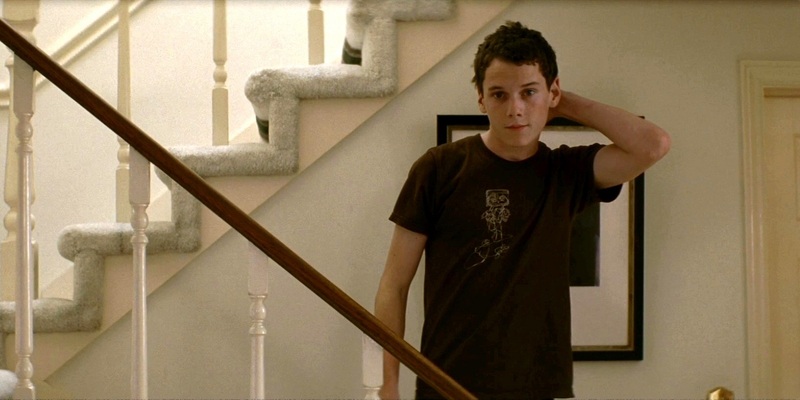 "The normal kid with a wacky family" character is pretty well worn in the television world, but Yelchin's inimitable sincerity, and wildly adorable curly hairstyle, always kept his character interesting, rather than corny. 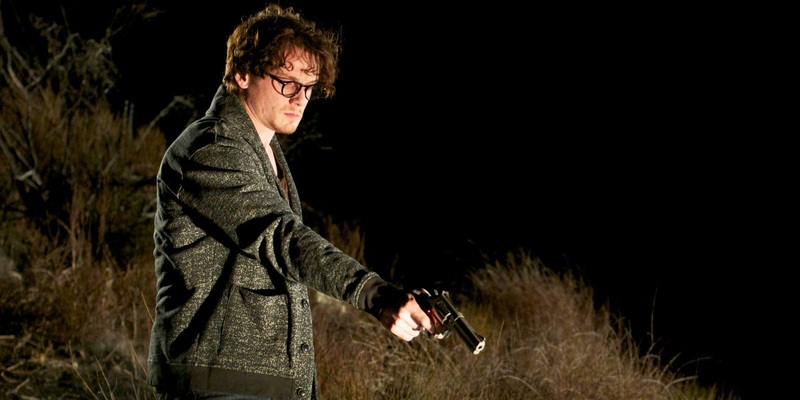 2006's Alpha Dog was controversial for ostensibly stylizing the real-life murder of Nick Markowitz, played here by Anton Yelchin with his name changed to Zack Mazursky. However, the truth of the film is that it is respectful to the victim and his family, and is, in fact, a scathing indictment of the glamorization of a life of crime, and how a bunch of kids who went too far wound up committing a most heinous criminal act. While the film was probably intended to be a a launch pad for the career of Justin Timberlake, his would-be film career quickly sputtered out. He's earned strong reviews here and there, but Timberlake has never been able to break into A-list status, and his movie roles are seen by most as more of a curiosity than anything else. Meanwhile, Yelchin and Emile Hirsch, Alpha Dog's other two young stars, would quickly go on to become leading men in their own right. Yelchin's first notable leading role was as the title character in 2007's Charlie Bartlett, in which he starred as a self-proclaimed high-school psychiatrist who doles out advice, and stolen medication, to his fellow students, much to the chagrin of the school's faculty, particularly the principal. Filled with intimate drama, laugh-out-loud moments, and a strong cast which included Kat Dennings and an on-the-upswing Robert Downey Jr, Charlie Bartlett, as the second half of a "one-two punch" with Alpha Dog, cemented Yelchin's status as a rising star to watch. The film earned mixed reviews and bombed at the box office, but, for our money, it's a modern day high school classic which can be enjoyed by teens and adults alike. Fun Fact: Anton Yelchin's mom in this film is played by Hope Davis, who also played his mother in Hearts of Atlantis, released six years earlier. Keep that in mind for trivia night at your local bar. New York, I Love You, the second entry in the obnoxiously overwrought "Cities of Love" anthology film series, consists of ten or so short stories set in New York City, each by a different director, and each featuring love as their central theme. 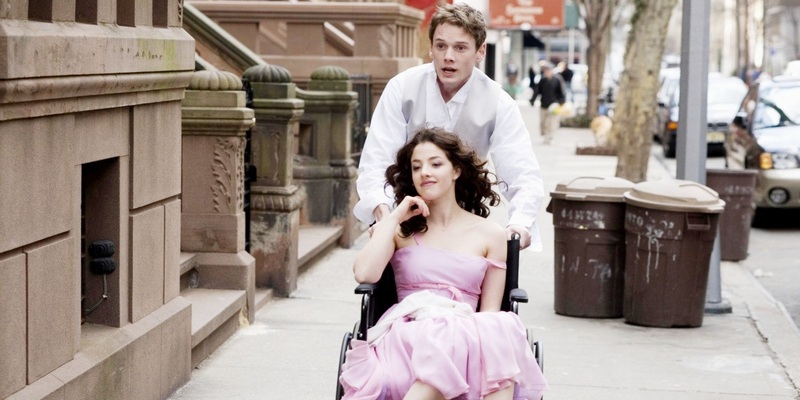 In one chapter of the anthology, Yelchin stars as a recently-dumped high school student who winds up going to the prom with Olivia Thirlby, a disabled woman confined to a wheelchair. Antics, hilarity, and romance ensue. Their segment is subtle, sweet, and sincere, and gets capped off by an amusing twist ending. Surprisingly, this chapter of the movie is directed by none other than Brett Ratner, whose films (Rush Hour, Tower Heist, X-Men: The Last Stand) have never once erred on the side of subtlety. Still, Thirlby is a joy in her role, and by this point, Yelchin had honed his "sheepishly frustrated teen" act into a fine art. The segment also gets a prestigious boost by James Caan, appearing as the old man who sets the plot in motion. 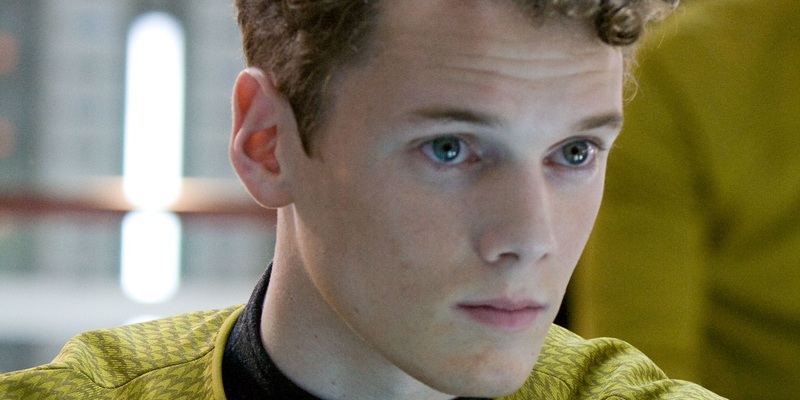 Probably Yelchin's most famous role was in 2009's Star Trek quasi-reboot. He filled the role originated by Walter Koenig (who recently paid tribute to the young actor) in the second season of the original Star Trek television program. Due to the time-travel shenanigans of the film, Yelchin's version of ensign Pavel Chekov is even younger than Koenig's, and Yelchin's baby-faced sense of wonder quickly made him a fan-favorite. Anton returned to the role in 2013's Star Trek Into Darkness, in which he briefly replaced Simon Pegg's Scotty as the Enterprise's Chief Engineer and got to participate in some exciting stunt sequences, at one point even directly saving Captain Kirk himself from certain death. Yelchin's first posthumous role will be in the third film in the reboot series, Star Trek Beyond. What role the character may play beyond that is unknown, though we would much prefer the character to be written out rather than recast, out of respect for Yelchin's beloved performance as the Enterprise's resident boy genius. 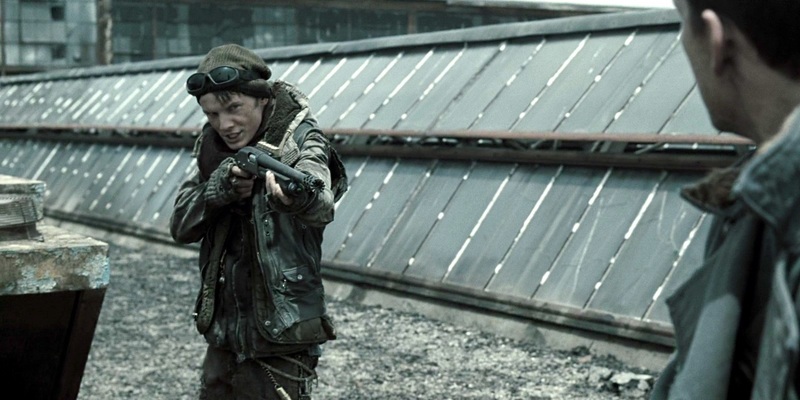 Almost immediately after appearing in Star Trek, Anton got to star in another big-budget science fiction revival -- though Terminator Salvation didn't turn out quite as well as Star Trek, to say the least. Directed with workmanlike gracelessness by McG (Charlie's Angels, This Means War), Terminator 4 was chock full of baffling creative decisions, from casting an annoyingly gruff Christian Bale as John Connor to focusing the story on series newcomer Marcus Wright (Sam Worthington). 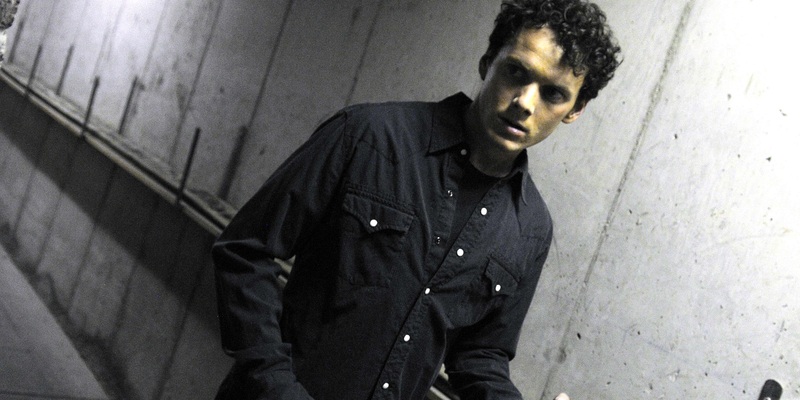 Still, for all its faults, Anton Yelchin's performance as a young Kyle Reese is a rare bright spot in an otherwise underwhelming film. Unlike Bale, who turns John Connor into a Batman parody with little regard towards his characterization in earlier films, Yelchin imbues his youthful Reese with shades of Michael Biehn's legendary performance from the original 1984 classic. The greatest pity of all is that for Terminator Genisys, producers elected to ignore the positive fan-reception that Yelchin received and replaced him with Jai Courtney, who is at the top of nobody's "Best Actor" list. Seriously, Courtney could have made a great Terminator, but Kyle Reese? No way. Films like Charlie Bartlett made Yelchin a teenage dream, and franchise fare like Star Trek and Terminator made him bankable in supporting roles, but it was Like Crazy that solidified his place as one of his generation's finest young actors. The premise is overwrought to a fault, but it's a monument to the chemistry between Yelchin and co-star Felicity Jones that the film doesn't fall apart into a gushy mess and remains watchable and engaging from start to finish. Felicity is British and Yelchin is American, and they fall in love immediately. However, her visa expires and she is deported. Hence, romantic drama. Like Crazy is what a Nicholas Sparks movie would look like if they weren't all terrible pieces of garbage. Director Drake Doremus (director of the upcoming romantic sci-fi drama Equals) said that most of the dialogue in the film was improvised, but one genuinely cannot tell, since Yelchin and Jones feel so perfectly natural in their roles as the star-crossed couple. This 2011 comedy/horror remake of the 1985 camp classic was doomed to failure from the start, with many choosing to ignore its very existence, and we can't really blame them for being prejudiced against yet another horror remake, a sub-genre with a terrible track record. However, Fright Night 2011 truly surprised us with its witty script, excellent special effects, and great acting. Colin Farrell terrifies as the hauntingly hedonistic vampire, David Tennant hams it up in the best way as a washed-up vampire hunter, and Yelchin shines as always as the plucky and awkward teen in way over his head. Despite the craziness which surrounds him, our young hero's resolute determination compels him to see his battle through to its bitter end. It may be a controversial stance to take, but we firmly believe Fright Night 2011 to be as much of a classic as the 1985 original, haters be damned! The film bombed pretty hard at the box office, but we're confident it will ultimately be fondly remembered in the years to come. Odd Thomas is one of those weird films that popped up on Netflix a few years ago, with many wondering where it came from. It stars Yelchin and Willem Dafoe, is based on the beloved novel by Dean Koontz, and is directed by Stephen Sommers. The film was supposed to have a wide release, but a series of lawsuits ultimately led to the film going straight-to-video in many territories. This is unfortunate, since the movie is a lot of fun, and clearly not schlock, though it delights in making plausible its inherently B-movie premise. Odd Thomas (Yelchin) is a small-town nobody who can see dead people, Sixth Sense-style. However, as the film's tagline states, "By God, I do something about it." Thomas is quickly caught up in a winner-takes-all battle between good and evil. Stephen Sommers knows how to stretch a buck, and the film features some impressive special effects, especially considering its relatively modest budget of $27 million. Odd Thomas is currently available to stream on Netflix, so if you have yet to check it out, what are you waiting for? The great (if rusty) Joe Dante-directed Burying the Ex, a romantic zombie comedy about a domineering young woman who won't let anything -- even her own death -- get in the way of her stranglehold on her boyfriend. Yelchin plays Max, the hen-pecked beau of Ashley Greene's (of Twilight fame) Evelyn, and is freed from her grip only when she is killed in a car accident, which is considerably less funny now than it was before Yelchin's own automobile-related death. After eventually moving on with a new and much nicer girl (Alexandra Daddario), Evelyn rises from her grave to reclaim her man. The film admittedly takes too long to get to the good stuff, but once it does, the second half is pure Joe Dante escapism, with bursts of his characteristically over-the-top violence. Yelchin and Greene are a great on-screen pairing, with Max's sheepish lack of masculinity and Evelyn's control freak tendencies perfectly complementing each other for comedic effect, especially after the latter becomes a flesh-eating zombie. It's a very uneven flick, but Burying the Ex still makes for great date night viewing. This modern-day Western earned mixed reviews when it released in 2015 for its meandering plot threads and accusations of over-the-top hammy acting, but we love it for its broad drama, visual panache, and resonant themes about violence and brotherhood. A remake of the 1999 Hindi film, Parinda, Broken Horses tells the story of Jacob (Anton Yelchin), who tries to wrest his older brother free from the clutches of the vile gangster, Julius Hench, played by Vincent D'Onofrio. While the term is so overused, there's no other way to describe the film than as a "visual tour de force." Beyond that, it's a sharply divisive movie, with fans and detractors firmly praising or damning it in equal measure. Is the acting too hammy? Is the dialogue too unbelievable, or does it match the heightened tone of the story? We recommend checking it out for yourselves and making your own judgement, perhaps in the comments section. The cinemasphere is overpopulated with endless crime dramas, several of which are quite good. Some of these films are rightfully championed (Cold in July), but others are lost in the shuffle and quickly forgotten, only to turn up on cable every now and then. 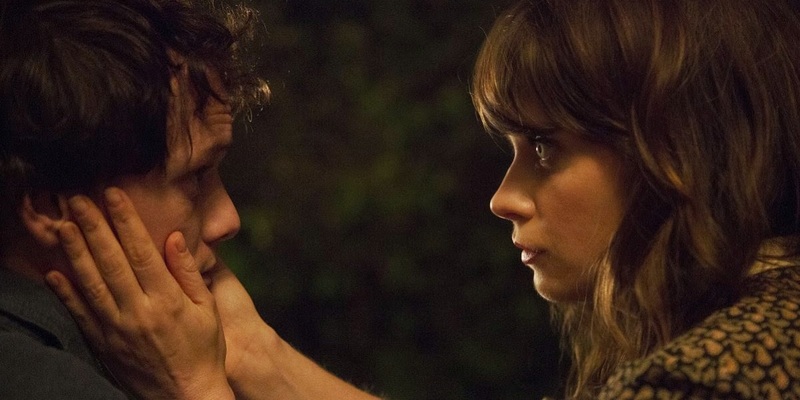 The Driftless Area is destined to be one of these films. Anton stars as a young bartender who returns to his hometown and finds love and violent drama. The love is provided by an on-point Zooey Deschenel, and the violent drama comes in the form of John Hawkes, who plays a comically inept, but nonetheless dangerous, criminal. The three characters converge in a mystery thriller plot with a tender romance and genuine thrills. The film released on video-on-demand the same week as our list's top entry, so it may take a while for many to even discover its existence. But once they do, we're confident it will be embraced as a tight and fast-paced thriller with off-beat elements that make for an unpredictable and fulfilling ride. Anton Yelchin's final film to see theatrical release during his lifetime is a glowing commemoration to his talent as an actor. We won't spoil any of the myriad twists and turns of the movie, but the fact that Yelchin shares the screen with the great Patrick Stewart and shines as strongly as ever is further testament to his acting prowess. Green Room tells the story of a rock band, led by Yelchin, who plays at the wrong club and winds up fighting against the club's owners, a pack of white supremacists led by Patrick Stewart. The film is directed by Jeremy Saulnier (who previously helmed 2013's phenomenal Blue Ruin), and appears to be a rock and roll horror exploitation show, and it is, to an extent. However, it's really about the battle between punk rock righteousness against the forces of hate and evil. Long story short, Green Room is quite possibly the coolest movie of 2016. Check out our recent interview with Yelchin bout the project here. Do yourself a favor and check out this sci-fi short from director David Karlak. Immediately. We miss Anton Yelchin. He was a tremendous actor, and there's little we can do to express our grief other than to reflect upon his work and be grateful for the award-worthy performances he gave us during his short life. Our condolences go out to his family and friends, and we hope our championing of his life and career can shine additional light on the talent that was his until the end. What was your favorite Yelchin film? Let us know in the comments.